Infection gone – but Nasty Mucus remaining? When my mum had a rotten cold, with really bunged up sinuses, causing her headaches, I suggested that she try something called Serrapeptase. Now Serrapeptase is something we have sold for a number of years, but it is not something that many people have actually heard of. Serrapeptase is actually an enzyme, which was originally made by silk worms! When scientists were studying these amazing creatures, they found that the enzymes they produce to help them get out of their cocoon had properties which may be useful to humans. So they found a way to synthesise this enzyme and discovered that amount its potential benefits, it could help to break down inflammatory tissue and mucus. This meant that it could be useful for a number of common complaints including sinusitis, catarrh, deep seated coughs and even asthmatic issues. 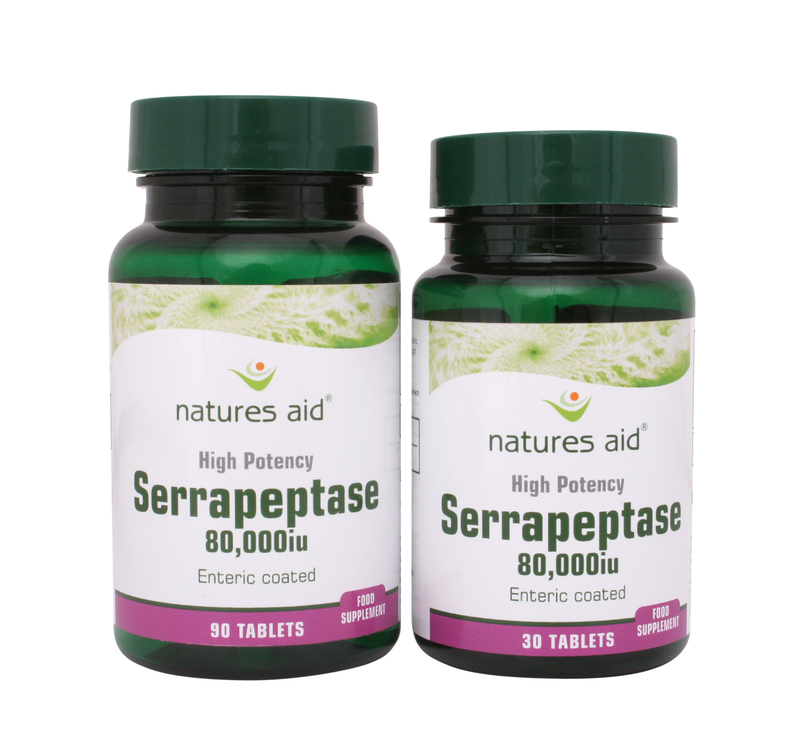 In the years since this discovery we have used Serrapeptase a lot for people with long term or deep seated mucus problems and have had some great reports back. One gentleman in particular stands out for me, he had been suffering with catarrh and sinus problems for a number of years and nothing had really seemed to help. We suggested that he try the Serrapeptase really as a last resort to see if it had any effect. He came back after only two weeks absolutely delighted and convinced that the Serrapeptase had actually started to relive his condition. He was breathing more easily and wasn’t struggling with daily headaches as a result of his congestion. This is why when my mum was suffering in the same way with her cold, I suggested that she try some Serrapeptase – and because she was suffering she actually did as she was told! I am happy to report that she believed the Serrapeptase helped her catarrh and sinus. She has often struggled in the past to shake sinus problems after a nasty cold and one time was still struggling several weeks after her cold had cleared up. This time however, she was back on her feet – with a clear nose – after 7 days, which was brilliant. For those who have been left with congestion on the chest, rather than in the sinuses, it could be worth trying an additional product called Vogels Brochoforce, alongside the serrapeptase. Great for chesty coughs & mucus. This is because the Bronchoforce is designed to help ease a cough and lift the catarrh off the chest. It does this using a number of herbs combined together. These herbs include Ivy, which has anti spasmodic effects – helping to ease a cough – making it productive, but stopping it from going on and on. It also contains Licorice and thyme, which have soothing and mucus eliminating effects. I have to say that Bronchoforce is one of my favourite cough remedies – I have used it myself with great effect a number of times. It is also suitable for diabetics, as it has no sugar in it, also for this reason it keeps really well – so if you don’t use the whole bottle, it will be ready to help you should another cough strike you down! To celebrate the winter season we have discounted our chesty cough package and our bunged up sinus package to beat even more lingering mucous this year. It seems that all the cold, wet and windy weather we have had recently has also brought with it a nasty cough, cold and catarrh. We have seen a lot of people with really heavy chesty coughs and nasty catarrh that they have really been struggling to shake. We have even had people asking us on twitter, what they could try to help shift their cold! So I thought we had better have a quick run through the best ways to protect yourself and what to try if you have been struggling to shift that cold and cough. Firstly protection. Keep your immune system working well – the best way to ensure this is to use something like Natures Aid Immune Support Plus . This formula contains all the important nutrients which support immune health. It also contains Beta Glucans, which improve immune function, Garlic, which is a natural anti bacterial and Elder, which supports the health of your mucus membranes! All of this together means that Immune Support plus should help you avoid the worst of the infections. Secondly shifting a cold and cough that just won’t budge! Help your immune system clear the infection with some Echinacea – a well known immune boosting herb, which can help to fight the symptoms of colds and flu. My favourite is A.Vogel Echinaforce, because it is made with fresh herbs, not dried ones, so in my opinion, it’s more potent. Then clear that mucus off your chest. Many people who have been struggling with this chesty cold, have had to resort to anti biotics because the infection got so bad. However, even after the anti biotics have cleared the infection, they are still left with a chesty cough! This is actually because, whilst anti biotics do help fight infection, they do not expel mucus. The good news is that we have been seeing some great results with A.Vogel’s Bronchoforce – a combination of Ivy, Thyme and Eucalyptus, which is designed to help shift chesty and mucus coughs, by clearing the mucus out of the chest. The other problem with a nasty cough is the fact it can keep you awake at night or result in you straining your muscles because you just can’t stop coughing. Bronchoforce helps with this as well thanks to the anti spasmodic action of the herbs it contains. So don’t keep suffering – let natural remedies help you recover!